Your financial gift can help patients win the financial struggle that’s often a barrier to getting a transplant. 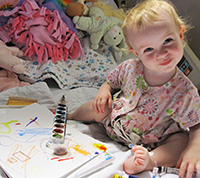 Your gift also helps grow our registry and support life-saving research. Thousands of patients with blood cancers like leukemia and lymphoma are in need of a life-saving bone marrow or cord blood transplant. But many patients may face barriers that could keep them from getting a transplant. Your financial gift can help patients afford transplant, find a matching donor and have a successful transplant outcome. Your gift saves lives. We raise funds to help patients receive the life-saving transplant they need. 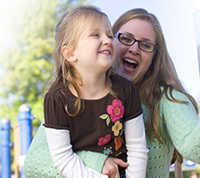 Since insurance doesn’t cover all the costs that come with a transplant many families are not able to afford treatment. But there is hope. And it comes from people like you. A transplant may be a patient’s only hope for a cure. But patients need donors who are a close match. 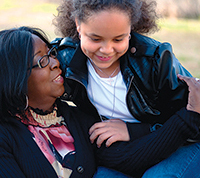 While millions have joined Be The Match Registry®, many patients still can’t find a match, particularly those with diverse racial and ethnic backgrounds. 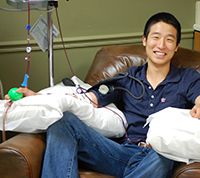 Your contributions help us recruit and add more potential donors to the registry so transplants can become a reality for all patients. Iliana, a marrow donor with Marie, her transplant recipient. Thanks to cutting-edge medical research, bone marrow transplant has been saving lives for more than 30 years. Researchers continue the quest to improve survival rates, use transplant as a treatment for other rare diseases and combat post-transplant infections. Your investment in research helps fund clinical trials and observational studies that are critical to healing more patients. As part of our mission to save more lives, Be The Match® has recently expanded into México. With your financial gift to Be the Match® Mexico, you can help us save more lives through cellular therapy by improving donor availability and removing barriers to transplant for patients of Latino descent.